Reports of a new phone scheme have been hitting media outlets (including USA Today and CBS News) for the last few days. It’s being coined the “Can you hear me?” scam and it may take only one word to fall for it. People are getting unsolicited calls where, after a brief introduction, the caller asks, “Can you hear me?” When the person answers “yes,” that reply is recorded and used to authorize unwanted charges on bills or a stolen credit card. Don’t answer calls from numbers you don’t recognize. 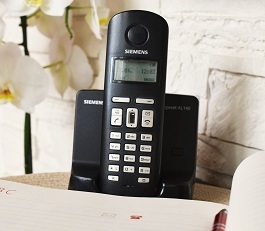 Even if the area code looks familiar, don’t pick up—let your answering machine or voice mail grab it. If it ends up being someone you know, you can call them back. If you do answer, don’t answer any questions that seem to be fishing for a quick “yes or no” answer. Never, ever give out personal information over the phone if you don’t know the caller. This applies to any unsolicited call, not just this potential scam. If you did fall for this scam, keep an eye on your accounts for any unauthorized charges on your accounts. Another option would be to reach out to your bank and credit card companies and have them flag your account. File a complaint with the Federal Trade Commission (if it’s been more than 31 days since you registered your number on the Do Not Call list). Visit donotcall.gov or call 1-888-382-1222. One more thing to note: apparently there isn’t any evidence people have become victims (yet, anyway) of this particular bit of trickery. It could be more of a potential scam, than a real one. That said, especially on the heels of Data Privacy Day, a reminder to stay vigilant isn’t a bad thing.